So it comes down to this for RIM. The BlackBerry 10 OS is make or break for the Canadian company, and the first device expected to hit the market using the software is the BlackBerry London. 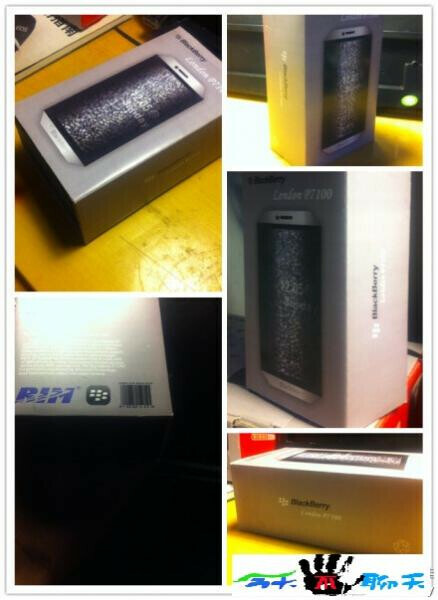 BerryReview has just obtained a leaked photograph that claims to show the packaging for the device. The picture on the box shows a handset with corners cut at an angle similar to say, the Motorola PHOTON 4G. 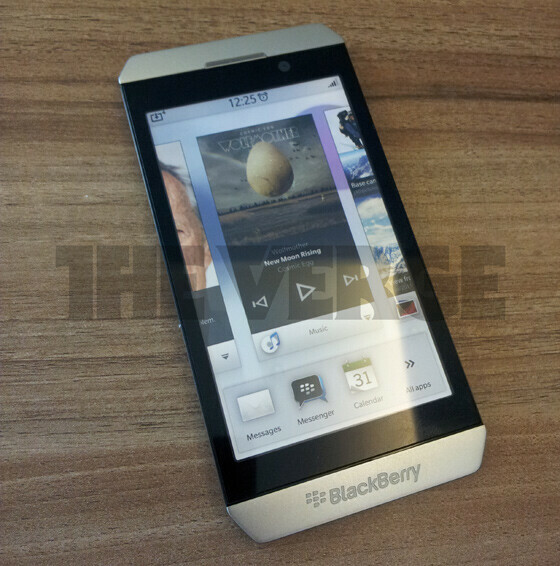 The picture on the box does resemble an earlier leaked photo said to be RIM's first BB 10 model. Understandably, the source wanted to remain anonymous. On Tuesday, BlackBerry Jam is to start in Orlando, running through the third of the month alongside the BlackBerry World Conference. 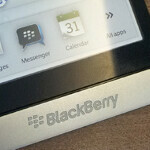 At BlackBerry Jam, RIM is expected to give away 2,000 units of a special developer's handset that will be loaded with BlackBerry 10. The devices will not have the same look or navigation as the BlackBerry London will have when released, and have been produced just to get the new OS into the hands of developers in the hope that some of them will be inspired to write some great apps for the OS. With nothing short of the company's future existence at stake, RIM needs to pull out all of the stops here for the BlackBerry London, even when it comes to something that might seem like an afterthought like the packaging for the phone. Looks pretty decent, still not getting my money. I suspect the success or failure of the BB10 handsets will determine whether RIM remains in the handset business. I can't say I am impressed at this point. It still looks like RIM is stuck on technology that is 2 years old. Anything about LTE connectivity? Do you have any idea how popular these things would have to be to get any developer support? Its almost like trying to get developers on WP7 or blackberry 7, its nearly impossible because they aren't popular, It isn't the functionality that matters entirely, Its about the mix of software,hardware, and design to meld into one great device, and if nobody wants to develop for it well then there goes your software. Exactly. A lot of Windows Phones have nice designs too and they're still having a hell of a time gaining market share. And while it looks nice, it's probably got last year's (if not 2010) technology on the inside and for the screen. A lot of people passed up on the Playbook because it's too small. The design looks nice and kind of refreshing. Wouldn't mind to get one to switch between phones. I do love BB's e-mail service. Looks great. I might buy it, but I'd want to wait and see what improvements RIM has made to the BB OS. Any idea if the Bold 9900 is getting the BB OS 10 upgrade? Would definitely rock one of those. Who still use a BB today? Its a brick. It seems like everyone hates BB devices because its the cool thing to do, but this phone actually looks good. And the BB's that I've owned have been solid so I'm hopeful this had the same build quality. I like the design, but it takes more than good looks to get sales. I hope BB 10 puts RIM back on the map though, the 8520 was my first smartphone and what got me hooked on stuff like this. I'd hate to see them fail. it all makes sense now....its a droidberry phone! a stock android cloak in some crap berry skin! this is the phone that was leak running bbm.... easy math if u dont believe look at the previous pic of an android running bbm... this is that phone! lmao who are you to say BB copied Android because Android stole them. bb10 is based on QNX not android get your facts straight. just because the phone will be able to run android apps doesn't make it an android device. and QNX has been around longer than android.